Not only is Lego taking reassuring strides toward building a more sustainable brick, they’re continuing to hatch very covetable playsets that are destined for many a birthday and Christmas wish list. The Empire is well and truly striking back as Lego readies themselves for the excited onslaught this Betrayal at Cloud City Star Wars set will spark. 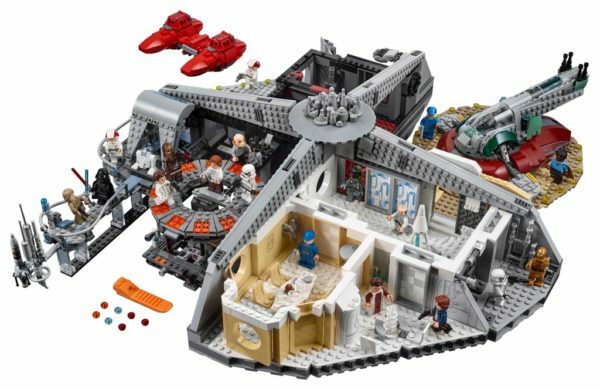 The 2800+ piece set is slated for release on 1 October and retails for US$350 (that’s $475 for local Australian folk.) 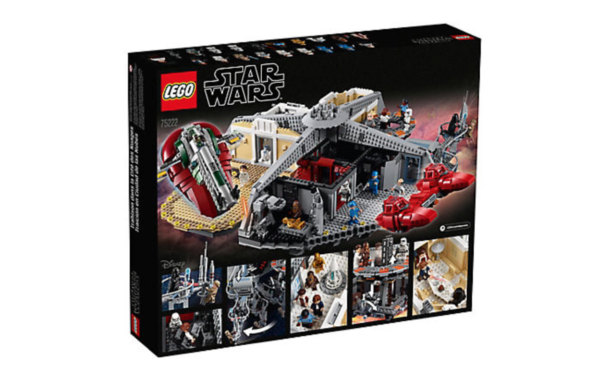 It comes with a whopping 18 LEGO minifigures and … 2 droids. 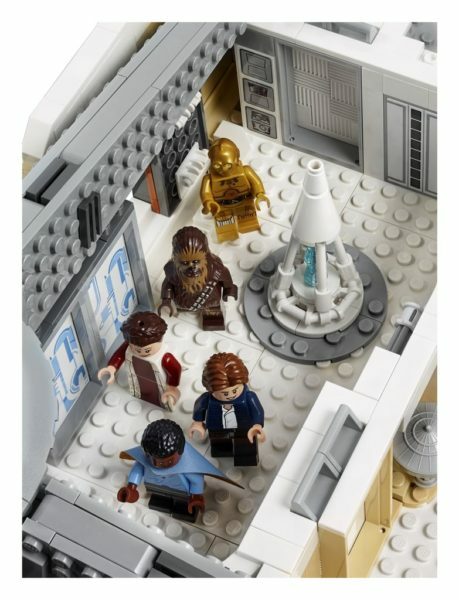 Lego tells us that the set is divided into four different sections, each of which depicts a scene from The Empire Strikes Back. Minifigures included in this brilliant set are: Han Solo, Princess Leia and Luke Skywalker in Bespin outfits, Chewbacca, C-3PO, Lando Calrissian, Lobot, 2 Cloud City Guards, 2 Cloud Car Pilots, Leia and Han in Hoth outfits, Darth Vader, Boba Fett, 2 Stormtroopers and an Ugnaught, plus R2-D2 and an IG-88 droid. 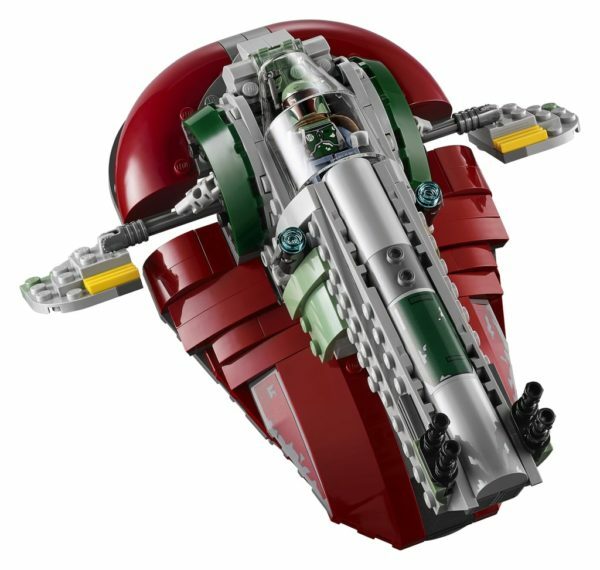 Section one features a landing platform with a sliding entrance door and Boba Fett’s Slave I ship with an opening minifigure cockpit, movable wings and space underneath to store the Han in carbonite element. 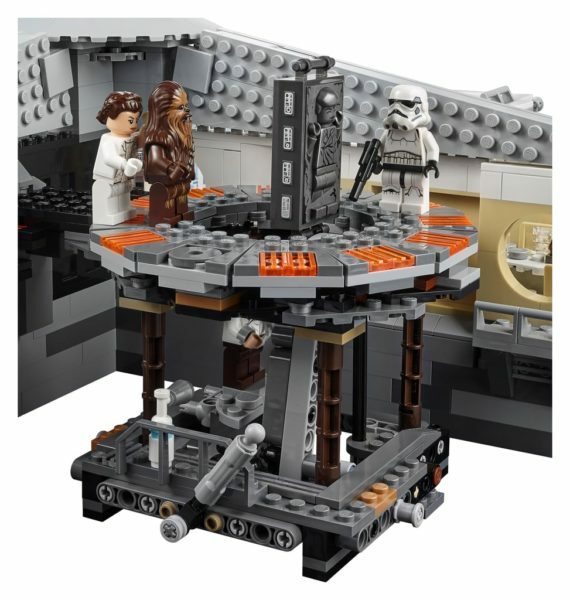 Section two features a dining room with a table, seats for 5 minifigures and a decorative Cloud City micro build; lounge with a transparent sculpture and 2 chairs; garbage processing room with an incinerator, conveyor belt and a deactivated IG-class droid; and a promenade with tree sculpture, mural relief and opening doorways leading to other parts of the model. 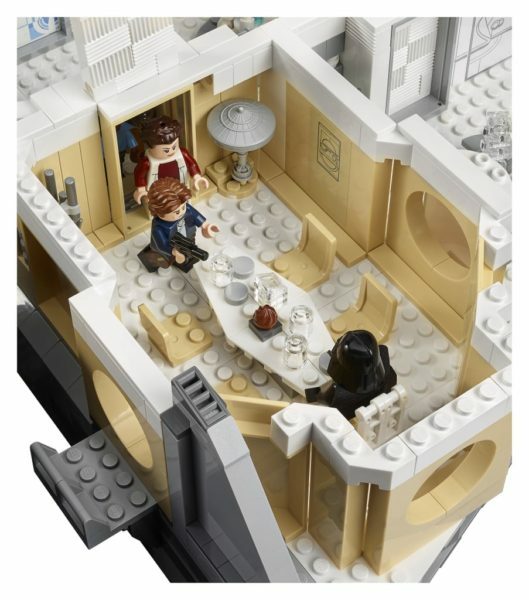 Section three features a sensor balcony with railing and swing-out function, plus a maintenance cabin with opening round window for epic Lightsaber duels, plus a carbon freeze chamber with lever-activated ‘freeze’ function. 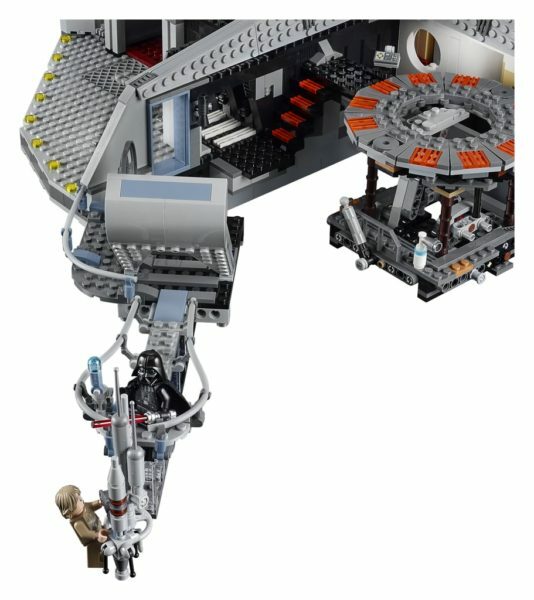 Section four features a dark-red corridor leading to the interrogation chamber with a turning interrogation chair, plus a prison cell, hangar with a secret trapdoor and tool & weapon rack, and space for the Twin-Pod Cloud Car with opening minifigure cockpits and 2 stud shooters. Fire up your wish lists – or empty your piggy banks – Star Wars fans! Find out more at Lego. Are cute and fluffy Pomsies your child’s chatty new bestie? !